Funny Or Die is going to the birds—literally. The site recently hired iconic character Big Bird as its new comedy-writing intern—or, at least, that’s the premise of the site’s new clip, “Big Bird Interns At Funny Or Die.” In the video below, the Sesame Street resident takes a crack at writing (or drawing) funny sketches, muses over how to work the copy machine, and orders a bunch of worms from FreshDirect. 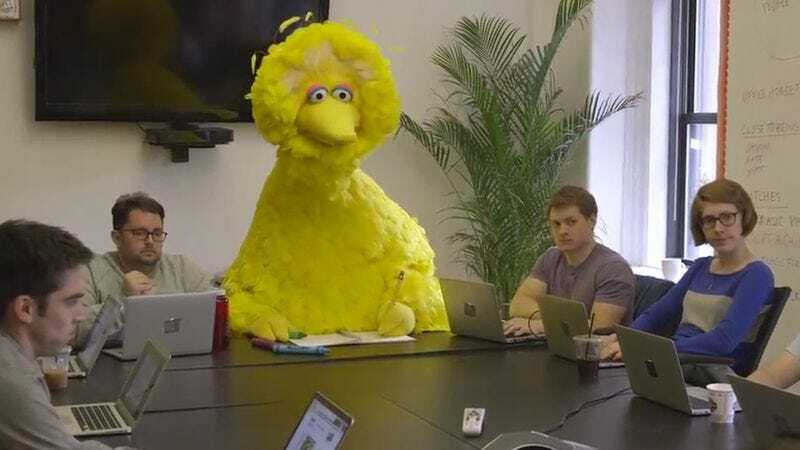 And while maybe Big Bird isn’t the best intern, what was Funny Or Die expecting when it hired a 6-year-old?